So spend your time wisely, pick a few quotes out and write them down and put them somewhere where you will see them! Get inspired today! View the Quotes by Zig Ziglar. From the highly esteemed Zig Ziglar disciple, this is a short and sweet Krish Dhanam video on goals that is sure to motivate and inspire you! "I wish I had. I'm glad I did." One of these two statements are words you are going to say down the road. Which will it be for you? Here's the best piece of advice of all: You don't have to leave it up to chance! You can either wish you had or be glad you did. Either way it happens in your life, you will choose! This is such a fantastic video, I hope you really absorb it. I don't know how many times I've seen it now but it certainly serves a student well! See another inspiring Krish Dhanam video here. It was master motivator and inspiring life coach Jim Rohn who said that life change does not begin with inspiration - life change begins with education! That's the purpose of this personal development blog, after all, to provide education so we can both grow and become the people we really want to be. Now that we've got our improved education and hopefully a little inspiration, determine today to read that book you've been meaning to get at. Or work on that business plan or your life plan. Go get out there and work on it for just 15 minutes, or even 5 minutes if that's all you can do. See what you can do in just a few minutes today. But be sure of one thing at the end of the day: that you did what you could! Who is Tamara Lowe? Well, Tamara Lowe is vice president of a huge company called "Get Motivated" that does motivational seminars around the country. I first heard about them last year on a radio commercial. It was really quite impressive really; names like Colin Powell, Zig Ziglar, Terry Bradshaw, and a few more. Needless to say, I was interested and did a little Google research. Turns out there are a lot of mixed reviews. After reading about it (for too long) I came to the conclusion that some people will denounce even the best things, and people hungry to learn will learn from almost anything life has to offer. Personally, if I had the day available and a Get Motivated seminar came to town, I'd probably fork over the paltry 15-20 bucks it costs to get in. (It might be worth the cost of admission just to hear the infamous Tamara Lowe rap I hear so much about.) I'll just be sure take my lunch break when they try up-selling me to the super investors stock investing kit. What you might not know about Tamara Lowe is that she is a former drug addict and dropout according to her web site at getmotivatedbook.com. She is also an author of a book called Get Motivated! which has pretty good reviews from Amazon. Winners take action, losers make excuses. Get past your past. Got a sad story? Stand in line! Are you going to blame everyone else for the rest of your life? Only 2 opinions matter in life: Yours and God's. I will start off by saying I don't know a whole lot about Mark Twain. But I do know he's quite famous for many of his quotes! If you're like me you probably know he's a popular author of classic American literature such as "The Adventures of Huckleberry Finn" and "Tom Sawyer." Other than that I do know he has some intriguing and beautiful quotes on life. Some are a bit rash, some are funny quotes, but no doubt they are quite profound. So, here is a nice list I've put together of Mark Twain quotes on life. Only he who has seen better days and lives to see better days again knows their full value. Mark Twain Fun Fact: In the twilight years of Twain's life, he served as vice president of the American Anti-imperialist League. The American Anti-imperialist League was a group that fought against the annexation of the Philippines. Have a place for everything and keep the thing somewhere else; this is not advice, it is merely custom. Many public-school children seem to know only two dates--1492 and 4th of July; and as a rule they don't know what happened on either occasion. Sufficient unto the day is one baby. As long as you are in your right mind don't you ever pray for twins. Twins amount to a permanent riot; and there ain't any real difference between triplets and anTwain Baby, Courtesy of Twainquotes insurrection. The business aspects of the Fourth of July is not perfect as it stands. See what it costs us every year with loss of life, the crippling of thousands with its fireworks, and the burning down of property. It is not only sacred to patriotism and universal freedom, but to the surgeon, the undertaker, the insurance offices - and they are working it for all it is worth. Oh Death where is thy sting! It has none. But life has. Obscurity and a competence. That is the life that is best worth living. Oh, this human life, this earthy life, this weary life! It is so groveling, and so mean; its ambitions are so paltry, its prides so trivial, its vanities so childish; and the glories that it values and applauds lord, how empty! ...the events of life are mainly small events--they only seem large when we are close to them. By and by they settle down and we see that one doesn't show above another. They are all about one general low altitude, and inconsequential. If you're interested in more quotes about life then check out this Earl Shoaff quote page. It's a great supplement to these Mark Twain quotes for a couple reasons. 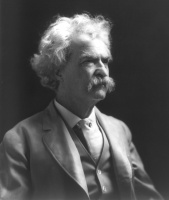 First, both Earl Shoaff and Mark Twain speak from the perspective of "old truths." Furthermore, they're both big on the basics and keeping things simple. Earl Shoaff uses a little less humor, but he is very profound! Check out Earl Shoaff's quote page here. Are you making the ultimate sales mistake? These two are paragraphs are excerpted from Dale Carnegie's book, "How to Win Friends and Influence People." They are great examples of what many people do wrong, not only sales people. But then again, we are sales people in the game of life, aren't we? Have a quick read, and see how these two brief paragraphs resonate with you. Excerpts from "How to Win Friends and Influence People"
Thousands of salespeople are pounding the pavements today, tired, discouraged and underpaid. Why? Because they are always thinking only of what they want. They don't realize that neither you nor I want to buy anything. If we did, we would go out and buy it. But both of us are eternally interested in solving our own problems. And if salespeople can show us their services or merchandise will help us solve our problems, they won't need to sell us. We will buy. And customers like to feel that they are buying - not being sold. The world is full of people who are grabbing and self-seeking. So the rare individual who unselfishly tries to serve others has an enormous advantage. He has little competition. Owen D. Young, a noted lawyer and one of America's greatest business leaders, once said: "People who can put themselves in the place of other people, who can understand the workings of their minds, need never worry about what the future has in store for them." Do you think developing the skill to be able to empathize and connect with everyone around you is incredibly valuable? Invariably, your answer will be yes. if you want to develop this skill, if there, I highly recommend you pick up Dale Carnegie's book, "How to Win Friends and Influence People," because I am certain its value is infinitely greater than its tiny cost. In fact, you might be able to find a copy at your library, if it's not already checked out. Repetition is certainly a requirement of life. We eat, sleep, and work or go to school every day. Sometimes we all feel like we're just going through the motions. Not surprisingly, a lot of people do just go through the motions. 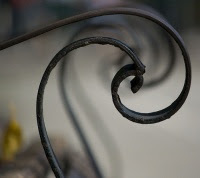 Some repetition is a good, necessary thing, but repetition in and of itself is not always. As Zig Ziglar puts it, if the only reason you're going to your job today is because you went yesterday then you're just getting worse each day. But repeating certain things add up. The climb to the mountain is a repetition of small steps that eventually lead to pure elation. That saying may be old and abused, but personal development is a repetition that nobody can pass for free. We must work on ourselves each day. But not everyone makes personal improvement a part of their daily repetition. Fortunately for you, you do! Having said that, let's look at some quotes on repetition sure to inspire, motivate, and get you thinking more! Few tasks are more like the torture of Sisyphus than housework, with its endless repetition: the clean becomes soiled, the soiled is made clean, over and over, day after day. Mental pleasure are never cloy; unlike those of the body, they are increased by repetition, approved by reflection, and strengthened by enjoyment. What does Rich Dad Poor Dad author Robert Kiyosaki think of President Obama's business sense? How much business experience do Obama's advisors have? Also, find out what Robert Kiyosaki says is the number 1 investment that your average joe should invest in this down market. Watch this interesting video clip to find out more! If you can't watch the video, some of the highlights are the following. President Obama is a product of a government affirmative action program, and he doesn't know a thing about business! An interesting statistic is that less than 7% of Obama's advisers have any real world business experience. Only 27% of investors view President Obama favorably. Kiyosaki says the president doesn't have control of the banks, China, technology, the federal budget, or current account balances. Furthermore, he hasn't been able to produce jobs. Professional investors invest for cash flow, and in tough times he can still strive. But stocks are down, homes are down, and capital gains are not good right now, which is what most common investors go for. If jobs are going out of town real estate goes down with it. Finally, the average investor should be investing in silver; it's a consumable precious metal that's risen drastically. Robert Kiyosaki has said in the past that he views silver as good "insurance." Here is a list of self growth quotes to get you inspired today. Pick out a quote that resonates with you and repeat it to yourself a few times over the next couple days. Better yet, try to use it in conversation either to make somebody feel better, give a person hope, or simply use it to impress someone else that you know a famous quote! Go as far as you can see and when you get there, you will always be able to see farther. It doesn’t work to leap a twenty-foot chasm in two ten-foot jumps. Yes, know thyself: in great concerns or small, be this thy care, for this, my friend, is all. Keep away from people who try to belittle your ambitions. Small people do that, but the really great make you feel that you, too, can somehow become great. To conquer oneself is the best and noblest victory; to be vanquished by one's own nature is the worst and most ignoble defeat. People worry about all kinds of things. If you are like most people, you know you often worry about junk you should not worry about at all! Unfortunately, many people do not know what they can do about this, or that they can in fact do anything at all. Well, luckily for you there is something you can do. And that is to change your mental attitude; of which, one way is through positive affirmations or positive self talk. Shad Helmstetter, author of the incredibly well-received book "What To Say When You Talk To Yourself" quite literally wrote the book on positive affirmations and positive thinking. Within this article I have included a list of positive affirmations excerpted from his book that can help solve your worry problems. This positive self talk also doubles as very effective affirmations for anxiety. I do not worry. I am in control of my own thinking, and I think only those thoughts which create and fill the best in me. My mind is constantly in tune with the positive. It is bright and cheerful, enthusiastic and full of good, positive thoughts and ideas. I am able to relax easily and comfortably in my body and in my mind. I am calm, confident and self-assured. My mind is orderly and well organized. I consciously choose what I think, and I always choose those thoughts which are the most positive and beneficial for me. All of my thoughts create healthiness within me. My mind dwells only on those thoughts which create more harmony, balance and well-being within me. And in the world around me. I automatically, and always, I think in a decisive and determined way. I am full of resolution and the absolute insurance of the best possible outcome in everything I do. I only look at the world around me in the bright healthy light of optimism and self-assurance. I do only those things which are best for me. I create the best within myself, I attract the best in others, and I find the best in the world around me. I willingly, and without fail, take care of the duties and obligations which I have accepted for myself. I commit only to those responsibilities which I know I can fill. I focus the attention of my mind only on those things that I can do something about. If I cannot affect it or direct it, I accept it. I keep my mind too busy thinking good, healthy, positive, instructive, and productive thoughts to ever have any time for worry. I control the thoughts I choose. No thought at any time can dwell in my mind without my approval or permission. So, if you are trying to solve some unwanted worry problems then take a few of Shad Helmstetter's positive affirmation quotes that really resonate with you. Write them down on a small card and carry these quotes with you (in your wallet, pocket, taped to your mirror, be creative!). Whenever you feel worried then read the card to yourself and be affirmed that you can improve your mental attitude and that you are improving. And remember: If you don't do anything, nothing will change! If you haven't seen or heard of Krish Dhanam then you are flat-out missing out! He's an executive coach and very inspirational and motivational speaker. Having been mentored by the legendary Zig Ziglar you can be assured that Krish Dhanam is the real deal. I've watch all the Krish Dhanam videos I can find, and in this blog post I want to share some inspirational Krish Dhanam quotes that I came across. As I always recommend, if one of these quotes really strikes a chord with you then write it down. Keep it on an index card and try to use it in your daily life. The more you PRACTICE this stuff and use these great quotes the more it all becomes a part of who you are, and it will create positive habits in your life. Reaction is based on life's possibles, response is based on your permissibles. Sometimes in the pursuit of fame and the search for significance and the desire for that elusive excellence we all remember the slaps and forget the kisses. If you're happy, tell your face. You are not responsible for your heritage, but you are accountable for your future. Mirror, mirror on the wall, Here I am, Now what's my call? The message is clear: plan with attitude, prepare with aptitude, participate with servitude, receive with gratitude, and this should be enough to separate you from the multitudes. Be all that you can be doing all that you can do. Success is not who you are in relation to the person sitting next to you. Success is who you are in relation to where you began and what you began with. For 8 hours of the day practice the skill that allows you tomake a living, but for 16 hours of the day practice the will that allows you to make a life. 97% of the people in this world operate in the comfort zone. 3% of the people in this world operate in the effective zone. The difference between comfort and effectiveness is called growth, and growth is uncomfortable. A big shot is just a little shot that kept shooting. We were so poor that we went to KFC to lick other people's fingers. If you are at point A and want to get to point B, learn what it takes to be at point B while you are at point A. If you have any of your own Krish Dhanam quotes please do share them in the comments field! This guy is a spectacular communicator! Also, if you'd like to share any of your thoughts about these Krish Dhanam quotes or the man himself please do leave your comments below. I try very hard to respond to each and every person who visits this blog. To see more Krish read this earlier blog post with an inspirational Krish Dhanam video from a live seminar. Should You Diversify? Let this Robert Kiyosaki video help you. Today's blog is little investing advice. It's a funny, but informational video from Rich Dad Poor Dad author Robert Kiyosaki on diversification. He humorously calls the word diversify "deworsify." The first time I heard this I got a bit of a chuckle from it. However his theory does hold some water. The most important thing, in my opinion, when examining Robert Kiyosaki's take on diversification is to remember that he is primarily addressing people who want to become wealthy and rich, not just an "average investor." So watch this video clip and think about your strategy and whether or not you diversify just to play it safe. After all, you are not on this site because you're content with just a hum drum financial plan! "Positive thinking won't let you do anything but it will let you do everything better than negative thinking will." Zig really is one of the best! When it comes to answering the question on how to think positive, he is the go-to guy. Oftentimes, we hear bad things about "positive thinking" and naysayers are all too quick to shoot down someone's new attempts at upgrading their mental attitude. But ultimately, the validity of positive thinking and if we should even bother to think positive is upheld with Ziglar's quote above. As Shad Helmstetter asks in his book, What to Say When You Talk to Yourself, who would you bet on doing better in life when you have 2 exact duplicates of a person except for one difference - one is a positive thinker and the other is not? Quite simply, I think every person out there who will choose the positive thinker. Now, answer me this: Do you think positive? Why? Why not? Are you working on how to think positive? The take-home message from these great coaches, motivators, and teachers is simple - changing your life starts with you. You can't always control what happens to you, but the only thing you can positively impact in your life is your own mind - your mental attitude. When we want to improve our lives we so often look outside ourselves, but the true wealth and road to happiness begins in our heads. Today, focus in on your thoughts throughout the day. Catch your musings and the idle drift that creeps around in your head when you think things are going poorly. Write them down, analyze them, find out how they impact your life. Most importantly, decide if THAT is HOW you want them to impact your life. JFK and Martin Luther King Jr. These are two prime examples of what Jim Rohn was talking about in his communication quote. I'm sure you can think of a couple speeches when I named those two people. That's because they had such incredible emotion behind what they said. They really felt it. And that's a key to effective communication. How much more profound an impact could you have on your spouse, friends, business associates or prospects if you invested more emotion? More than a few people are very interested in inspirational speaker and super motivator Joyce Meyer so I put together a nice list of Joyce Meyer quotes. 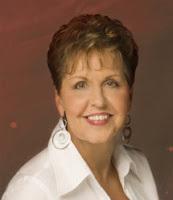 Click here to read some inspirational Joyce Meyer quotes. Personal Improvement Plan - Does It Work?